Here is what we've got about what's more to come from the Samsung smartphone lineup this New Year. As the year 2014 instigates, rumors about the upcoming sets of smartphone devices are spreading fast. Among the much-anticipated broadcasts is on the South Korean giant's next flagship Android smartphone roll-out, which is likely thought to be the Galaxy S5. Rumors have been saying that Samsung will be one of the first companies to unleash a new high-end smartphone in 2014. It's an assertion that makes people even more excited to find out what the new Android handset is going to look like or what more it has to offer when it arrives. Ever since the New Year started, there have already been a good number of rumors, indications and leaks about the Galaxy S5's technical characteristics, release date and even on the pricing. 1. Over 5-inch Display with staggering 2560 x 1440 resolution. It's already been known that when it comes to mobile devices, Samsung seizes some of the most controversial displays as manifested by its AMOLED technology. According to some sources, the new device will sport a bigger panel than the GS4's 5-inch display. If true, then we should expect an evenly higher level of screen clarity. 2. PLS LCD Display. There have been speculations that the upcoming Galaxy S5 may feature a PLS LCD display panel instead of AMOLED tech. Rumors claimed that Samsung is already starting to feel the pressure from its Chinese rivals like Xioami and Oppo, in terms of better technology offer at extra-low costs. 3. A 64-bit Exynos Chipset. Samsung is purportedly planning to use a brand new version of the Exynos chipset that features a 64-bit architecture, similar to that of the iPhone 5S' A7 SoC. Given this possibility, we can expect to see an even better performance from the new Galaxy handset. 4. 16 MP camera with OIS features. Given the better camera features of the other new entrants, Samsung will likely consider using even better and higher camera resolution. Sources then claim that the GS5 camera is going to offer up to 8 times brighter photos (indoor shots). 5. 4 GB of RAM. It is very possible that the GS5 will be packed with a healthy amount of 4 gigabytes of RAM, if it actually features a 64-bit Exynos processor. Although, some rumors are asserting it will only feature 3GB of RAM instead of 4GB. Such contradictions have led to another theory that Samsung may introduce 2 versions of the GS5 by then. 6. Fast charging 2900mAh battery. Samsung must already have realized the existing issues associated with smartphone batteries. In line with this, there's a rumor that says the GS5 will be using a bigger, 2900mAh battery with a new kind of tech that allows faster recharging. 7. Finger-print sensor. Finger-print sensor is among the advanced features found on the iPhone 5S. Thus, it is also possible that Samsung will design its new flagship smartphone with an installed fingerprint sensor. However, it is still uncertain if the Korean firm will opt the swipe or touch type. Unofficial source said that Samsung will tie up with the Sweden-based Fingerprint Cards to get its fingerprint sensors. 8. Plastic and/or Metal GS5. Wildest rumors about the GS5 said that the new device may come with two distinct schemes - one made of metal and the other of plastic. Considering the company's outfitting reputation, such claims are possible. 9. Conference video call feature. Many are hoping that Samsung will work on a major redesign on their next flagship device, particularly on conference video calls. 10. To arrive in Q1 of 2014. A leak source said that Samsung is not really very pleased with the current performance of the Galaxy S4 hence, the company is eager to introduce its successor earlier than the usual schedule. Typically, the Galaxy S smartphones are set to debut in April - May. 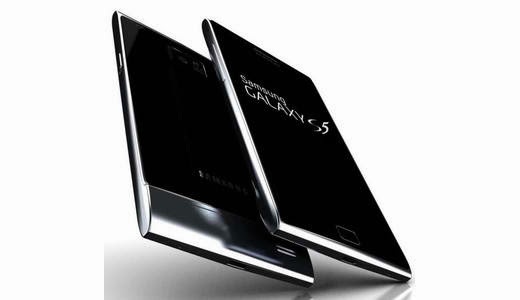 But according to a private source, Samsung will unveil the new Galaxy S5 smartphone in February or March of this year. Some analysts thought that the launching will most probably be set at a pre-MWC event on the 27th of February. As of its rumored pricing details, the unlocked Galaxy S5 handset will most likely be around 600€ to 700€ (a popular flagship price).